The 2019 Hoppy Earth Day Brewfest! What you need to know. Welcome to another installment of the Oregon Brewery Running Series Podcast; Inspiring Oregonians to Get Active, Have Fun, and Give Back. We host family-friendly, 5K fun runs that start and end at some of Oregon’s best breweries. REGISTER FOR OUR NEXT RUN HERE! On today’s podcast episode, you’ll get to hear from two special people! 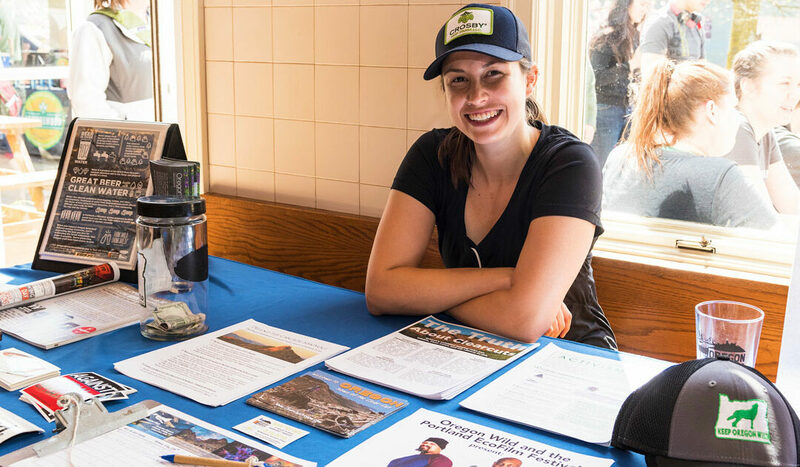 First, you’ll get an update on all things Stickmen from Lauren Satterfield, their events and marketing director, and also an update from Marielle Cowden about Oregon Wild and the Oregon Brewshed Alliance. If that seems like to random people to combine into one episode, well it makes total sense if you know that; Stickmen is our host for our April 20th Hoppy Earth Day Brewfest and 5k fun run and walk, and if you know that proceeds from that event, all go to support the excellent work of Oregon Wild and the Brewshed Alliance. Register for this event using this link and save 25% on your event entry! And more! All proceeds go to benefit the good work of Oregon Wild and the Oregon Brewshed Alliance. Participants get a $5 voucher that goes towards any food purchased that day, along with all the regular goodies you can expect from our event. All abilities and ages are welcome (but you do have to be 21 to drink). Strollers and dogs are also welcome on the course, but dogs are not permited in the brewery. Contact us with any additional questions! We cover A LOT in this episode, so I’ve included some related links below. They include some other podcast episodes, videos, and websites for you to check out if you’re interested in learning more about anything mentioned here. The Oregon Brewery Running Series is about inspiring Oregonians to Get Active, Have Fun, and Give Back. We host family-friendly, 5K fun runs that start and end at some of Oregon’s best breweries. Register for our next run here! Our theme music, the Oregon Song, is written and performed by James Hoffman. Getting to Know Hopworks Vancouver with Speck and Troy!